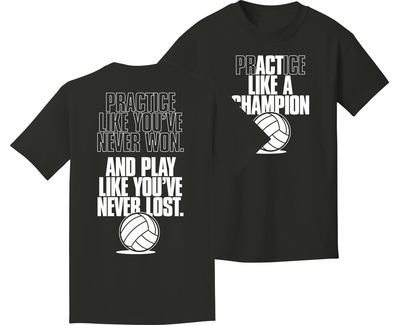 ACT LIKE A CHAMPION Black Volleyball Tee Shirt from Utopia Sport features both a front and a back design with motivational wording in black and white... Practice Like A Champion And Play Like You�ve Never Lost. 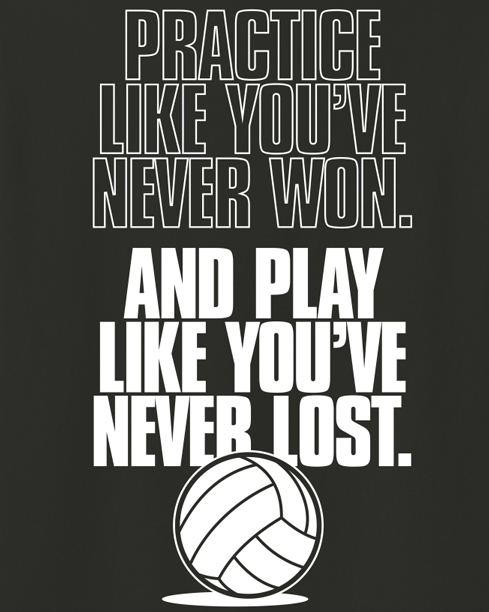 An inspirational Volleyball Shirt which is sure to be a hit with players of all ages. Front Image Size = 6.75" wide x 8.5" high. . . Back Image Size = 7.5" wide x 14" high. 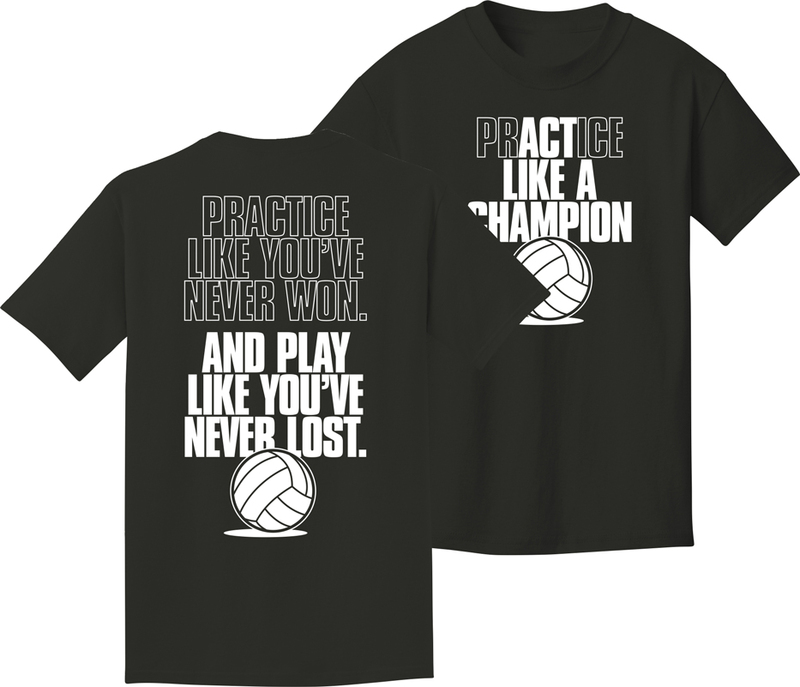 Practice Like A Champion Volleyball Short Sleeve Shirt is 100% Cotton. * This T-Shirt design is available in the color Black only.